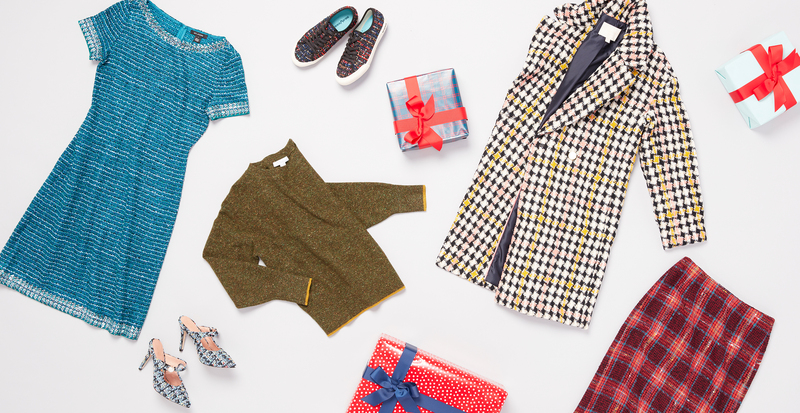 When you think tweed, decidedly classic looks may come to mind. A Chanel skirt suit, perhaps, or a durable fall jacket. While these timeless pieces will always hold a revered place in closets, this season’s fresh take deserves an equal share of hanger space. This traditional textile is being used today in just about everything, from work and weekend wear to elegant evening attire. You may not expect a tweed piece to be the coolest in the room, but these modern picks will prove that it can hang with the best of 'em. Spoiler alert! Tweed shines in a jacket. It adds warmth, texture, and a structured look that brings polish to any outfit. This heritage textile is especially striking in streamlined silhouettes, enhanced by unexpected updates like metallic threads and leather-lined lapels. To kick things up a notch, try tweed in a prominent pattern, like a colorful houndstooth or an eye-catching ombré. Don’t discount a time-honored textile’s ability to bring major elegance to the mix. 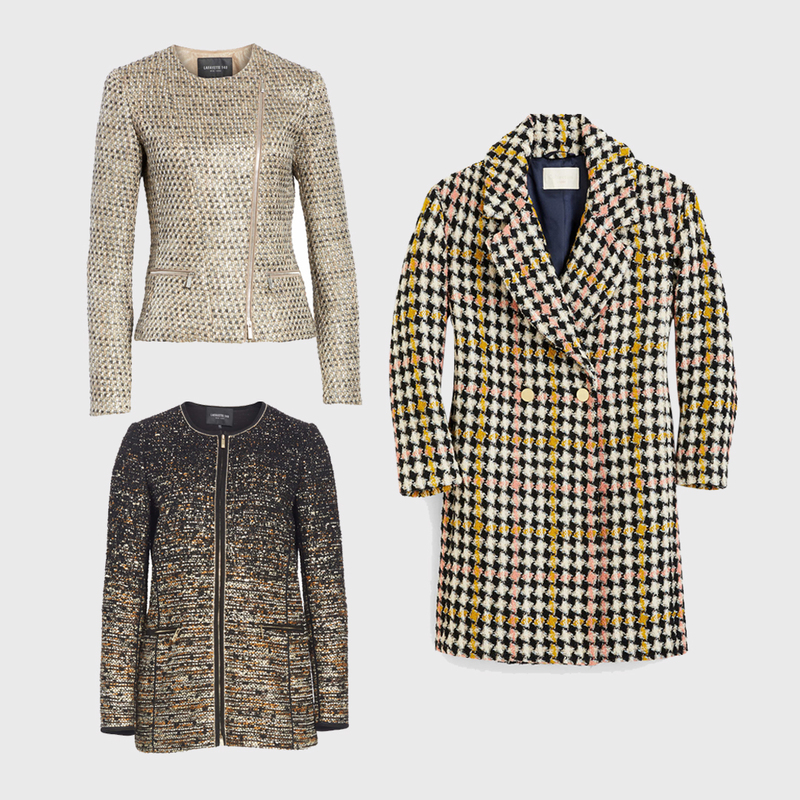 Choose pieces that balance tweed's structure with feminine details. A prim and proper dress, for example, gets an extra special touch when embellished with a sprinkling of sequins. A fit-and-flare silhouette evokes a youthful, flirty vibe. 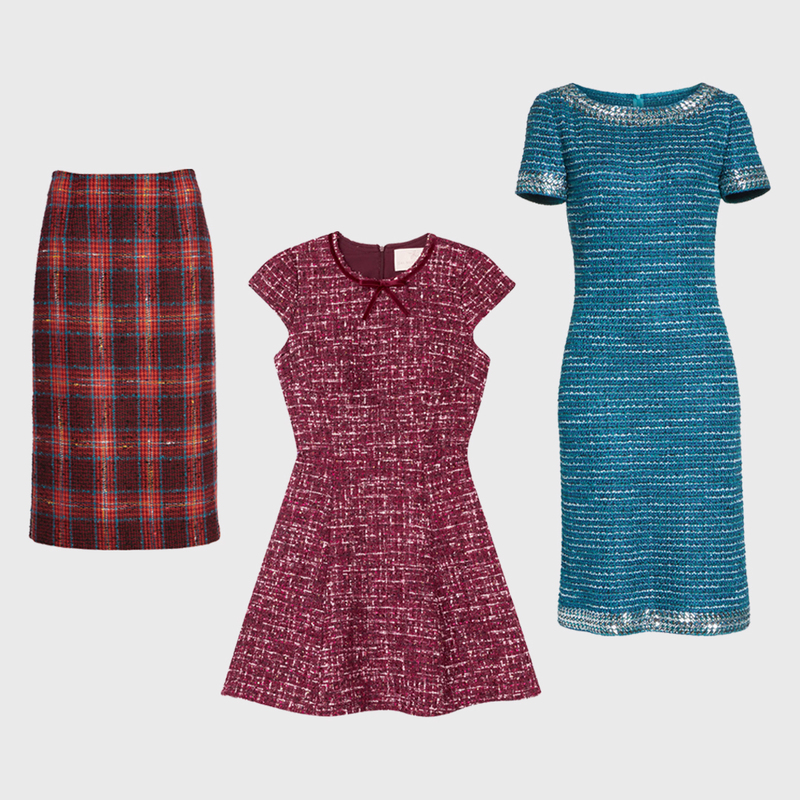 To return to a classic look, try a preppy plaid pencil skirt. For a less obvious route, add it by way of accessories. Cool-weather outfits can be finished with textured, on-trend footwear like colorful kitten heels or casual kicks. Their unique fabrication makes a statement, so pair them with simple dresses and separates. 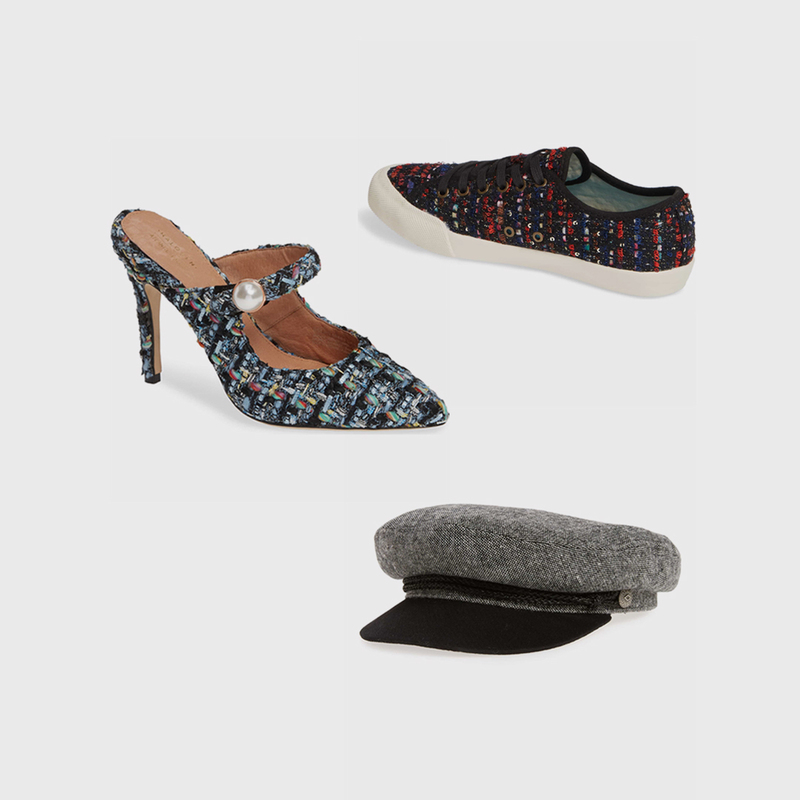 For a signature look this season, try donning a chic woven cap.